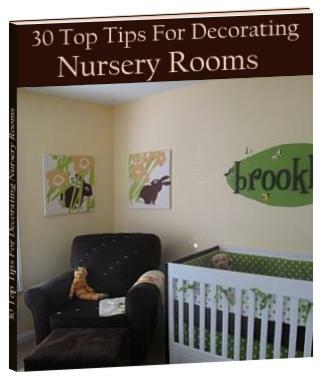 You can benefit from my ten years of experience in nursery decorating by downloading my new eBook 30 Top Tips For Decorating Nursery Rooms - It's FREE! Unfortunately, in today's economic climate, redecorating the entire room may not be financially viable. 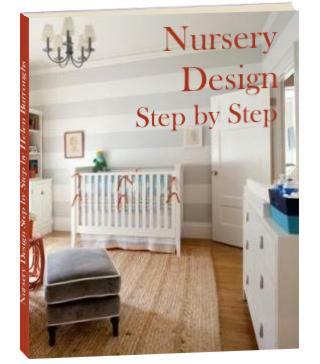 And what do you do if you're in your third trimester and you already squeezed out your last trickle of energy to get the first nursery decorating attempt finished? Download your FREE copy of my new eBook today. Right click on the image to the left and choose "save link as" or "save target as" to download your free ebook!